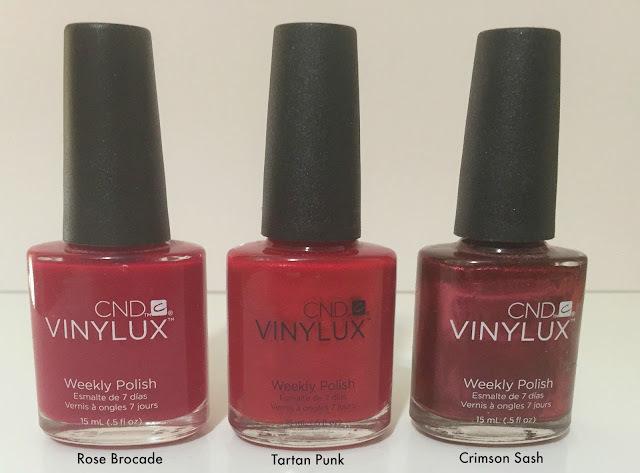 If you are following me on Twitter, Facebook or Instagram, you will probably now that I am obsessed with CND Vinylux nail polishes, so it really beggers belief that I have not yet professed my love for them on this here little corner of the interwebs that I occupy. If you have not heard of Vinylux before, it’s a long wearing nail polish range from the makers of Shellac that can be applied in the comfort of your own home without the need for a lamp and can be removed easily with your average nail polish remover without the need to soak your nails in acetone. Sounds too good to be true eh? The CND Vinylux range are said to last 7 full days without chippage- but to be honest, it usually doesn’t last the full 7 days completely chip free on my nails. What’s the attraction so, I hear you ask, WELL- even though I might not get 7 completely chip free days, I get 7 decent, near perfect days out of it, and before Vinylux, this was unheard of. What is means for me in practice is I can paint my nails on a Sunday night and they will last me the whole week at work and Saturday too for good measure. When your spare time is as limited as mine, painting your nails at the end of a 14 hr day in the office seems like the least attractive option every in the history of the world. And not only do they last me at least twice as long as other nail polishes, but they are so easy to remove with your bog standard nail polish remover- they just slide off (apart from some of the glitter ones, because y'know they are glitter and glitter is pretty but sooo difficult to remove). 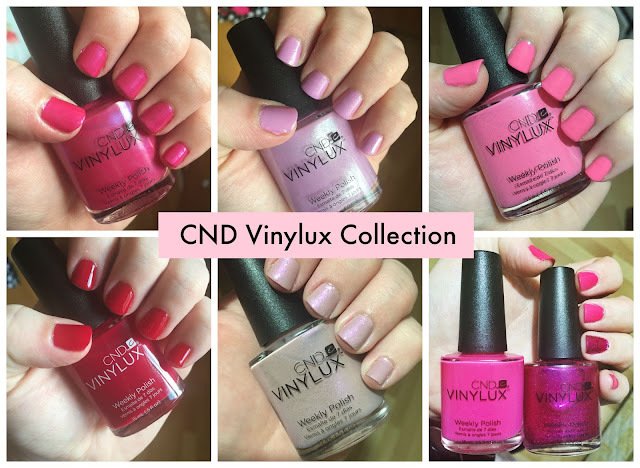 Other reasons that I absolutely love Vinylux include the fact that often 1 thin coat delivers great opacity, and for the most part, 2 thin coats of colour and one coat of that HG top coat is perfectly sufficient. Some of the lighter, milkier colours benefit from a third coat. 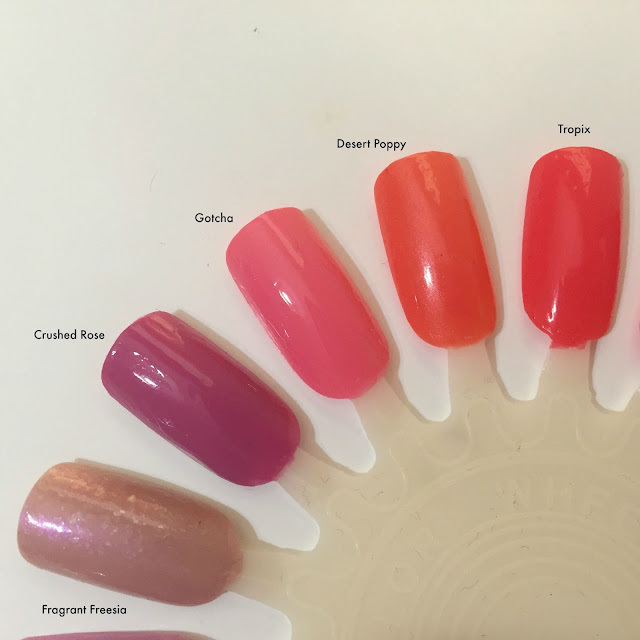 One thin coat applies really smoothly and evenly and even though the coat itself is quite thin, it does a great job of disguising and covering any ridges or chipping on the nail. 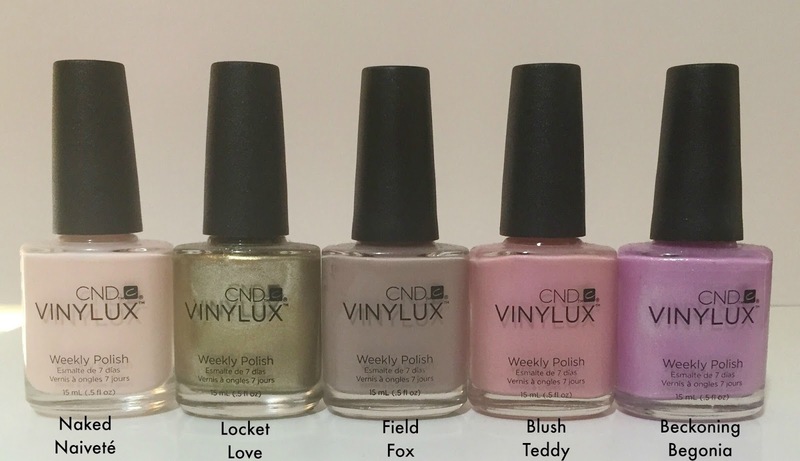 There are a huge array of colours and finishes from the Vinylux range- every colour under the sun, creamy, metallic, glittery, duochrome etc.- there is bound to be something for everyone. 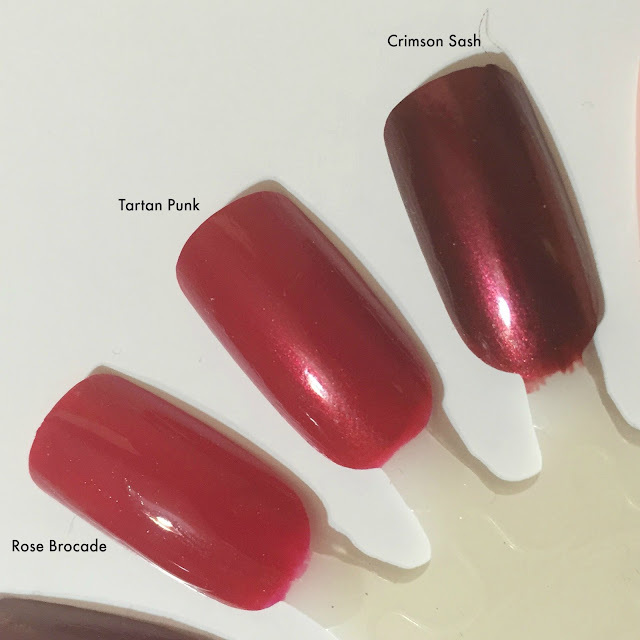 CND also release new colours every season in collection- the latest collection is the Contradictions collection, and I think my favourite collection to date has been the Garden Muse collection. 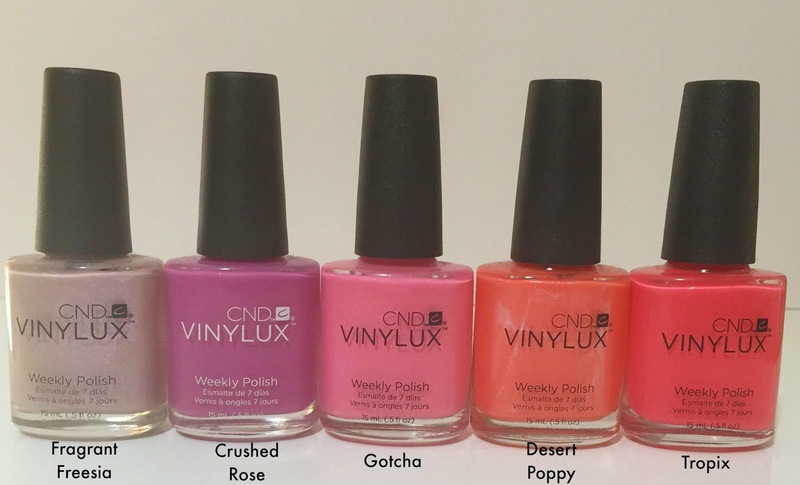 In terms of where you can purchase this, you can ask your local salon that use CND products to order some for you or, rather more conveniently, you can pop onto to theDolledupie website where there are a multitude of colours available for the very tiny price of €11.95 a pop. Ever since I was gifted my first few bottles of this stuff back in December (thanks again Emily for starting off the addiction! ), I have been slowly and steadily building up a little armoire of colours and finishes. 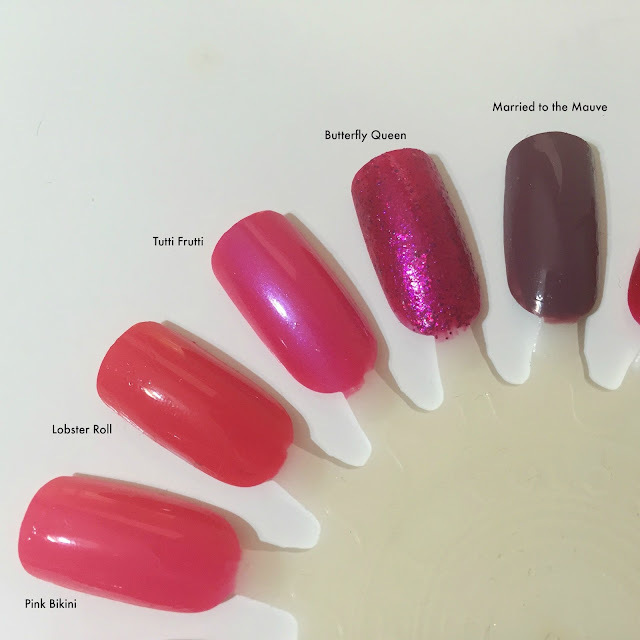 I wear Vinylux on my nails about 95% of the time now, sometimes I will take a break if I have a particular colour in mind or I am testing out other nail polishes for the blog. As a busy working woman, these polishes appeal to me so much. There is nothing I abhor more than huge chunks of my nail polish missing and because I have such thin and brittle nails, most polishes only last a day or two before chipping. 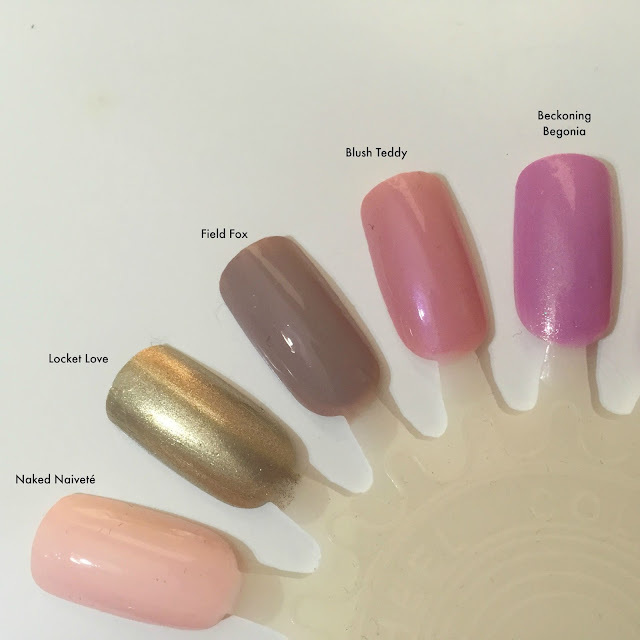 I’ve actually noticed my nails growing longer and stronger since I started using Vinylux also- not that I go for the long nail look, but it’s nice that they feel less brittle than they did previously. 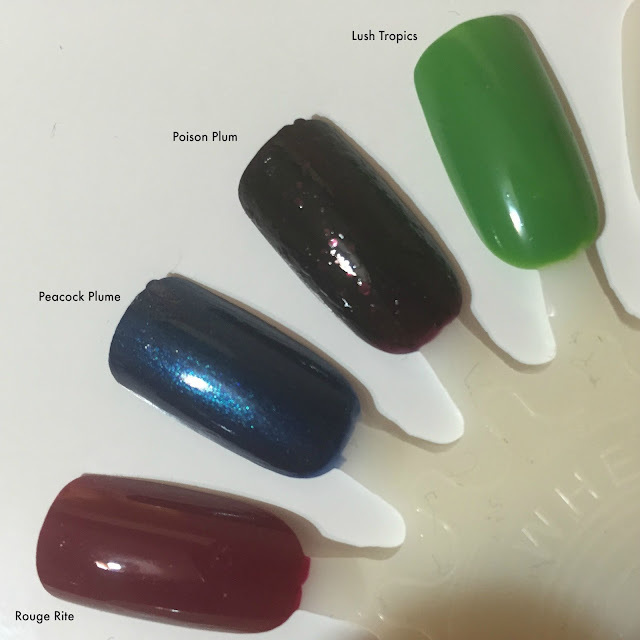 Onto the colours that I do have, I've taken some pics and nail swatches so you can see the whole suite. It's not a huge collection by any means but I am only starting out and I am going to keep adding to these over time. 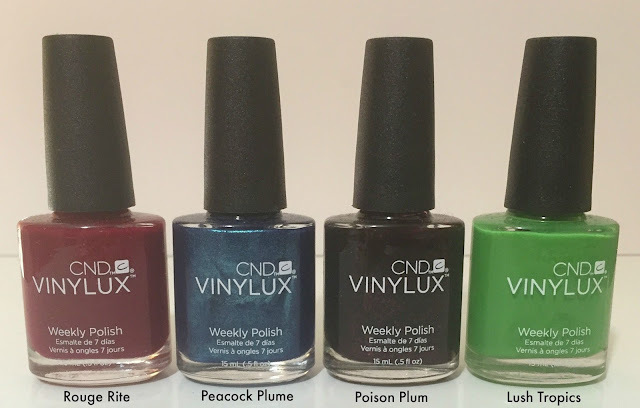 I think what makes Vinylux really special is the top coat, and I love it so much that I even wear it over the top of other nail polishes to get them to last longer. I've gone through one bottle already and am on my second. And of course, I can’t give my new fave nail polishes a shoutout without sharing the love for my new fave cuticle oil, also from CND. I first received a sample of the CND Solar Oil in a subscription box last month and I’ve been hooked since. This stuff has transformed my cuticles from the dry and tattered to neat and healthy looking. I never much bothered with cuticle oils before this but since I've been using it, I've noticed that my cuticles are in much better condition now. So there you have my thoughts on the CND Vinylux polishes and a little sneak peek into my collection with some swatches. I love this stuff and, as I mentioned a bazillion times already across my various social medias, Imma gonna end up with all the colours at some stage. 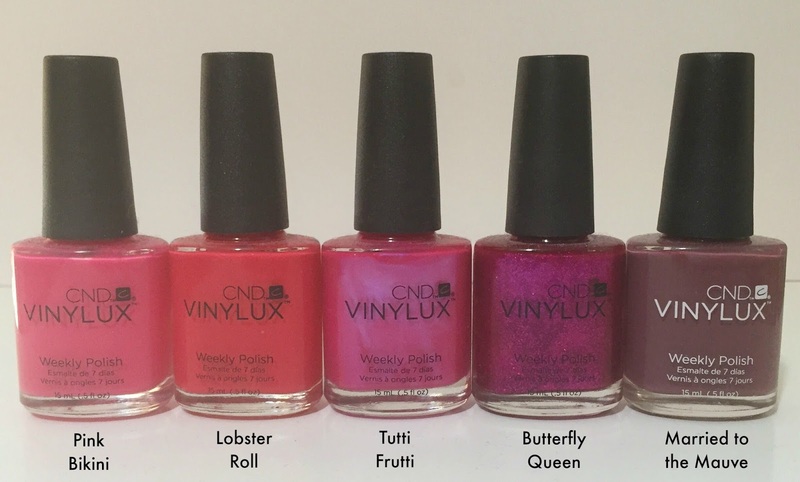 Have you tried the Vinylux side of life yet and, if so, is there any colour I need to have? 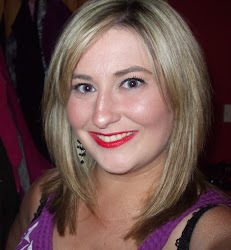 What colours from my pics are taking your fancy?